We bring you the ECU Slim and ECU 23 Mod Combo Starter kit. It dazzles with its included contents, especially with our ECU Slim series clearomizer's gem like appearance. 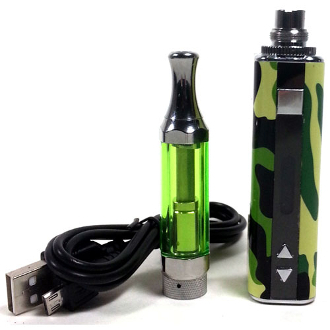 This Combo vape starter kit will give you our ECU 23 Watt Box Mod and Slim Clearomizer. The ECU 23 Box Mod is small in stature and easy to carry around. It has a clear and easy to see OLED Screens that display your battery life, ohm read out, and (of course) your Voltage and Wattage settings. The combination of the ECU Slim series clearomizer and our ECU 23 Box Mod will give you an incredulous smooth hit! With the dual coiled ECU Slim you can vape at a respectable wattage, while continuously having a long lasting battery life through the ECU Box Mods 2200mah battery. Since the ECU Slim and Mod Combo Starter kit comes with practically everything, it can be purchased as a great starter kit into the vaping community. Or if you're already a member, it's a good way to add to your collection of e cigarette merchandise but at a bundled lower price.